WOW! 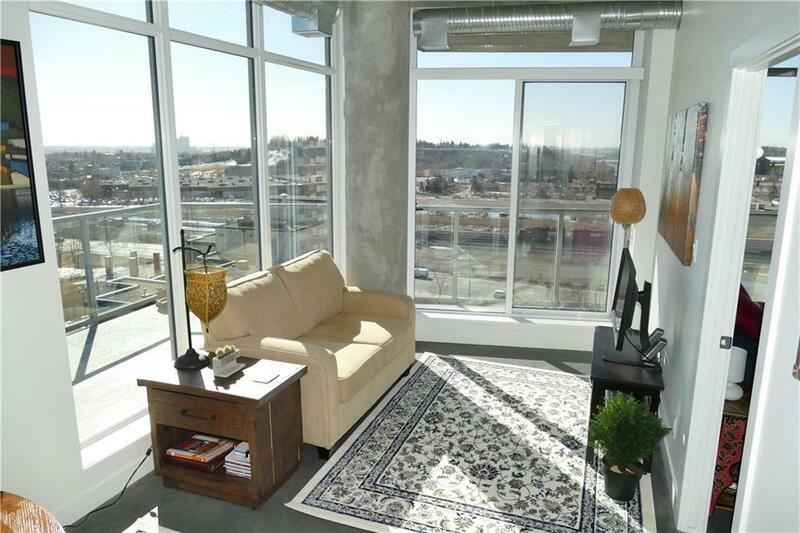 2 bedroom, 2 bathroom, Title Parking (valued at $55,000) incl. 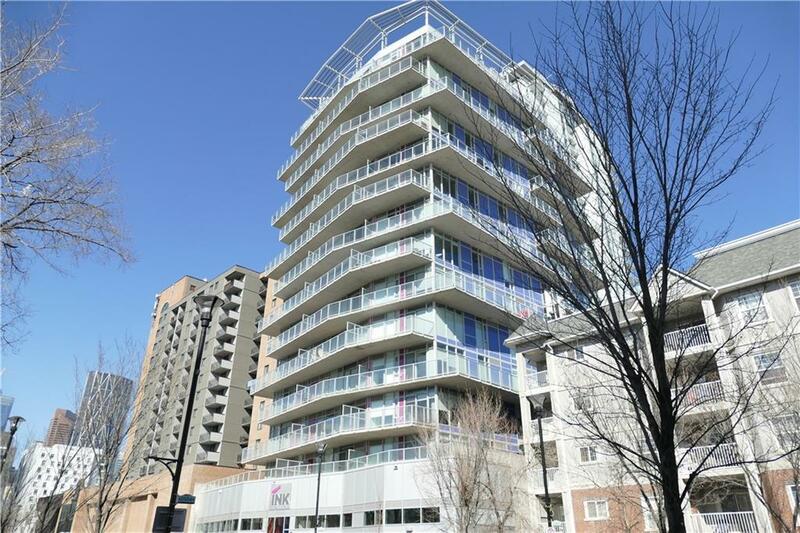 in price!Corner Unit with stunning expansive views of the Bow River, Fort Calgary, Saddledome and more! 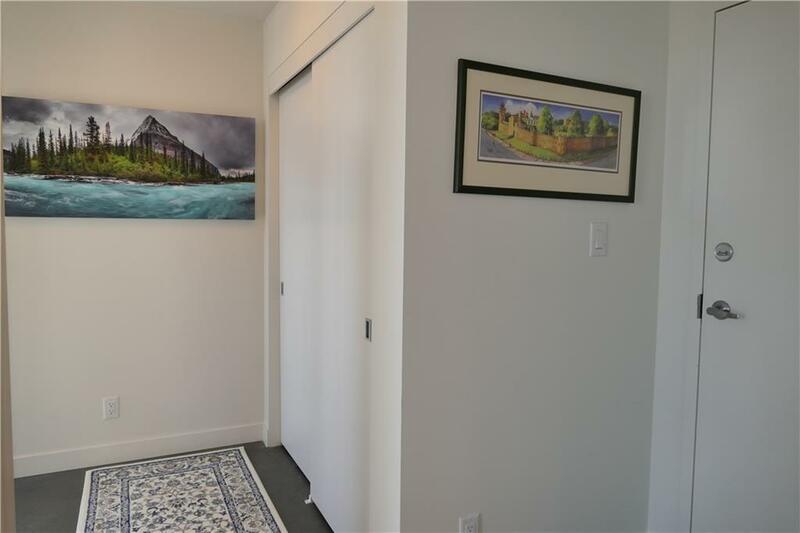 "INK" is amazing as you can walk to all downtown amenities, City Hall, Studio Bell, LRT, Stampede Park, Bow River pathways, Inglewood and more! Well-designed industrial loft inspired features exposed 96 concrete ceilings paired with polished matte concrete floors. 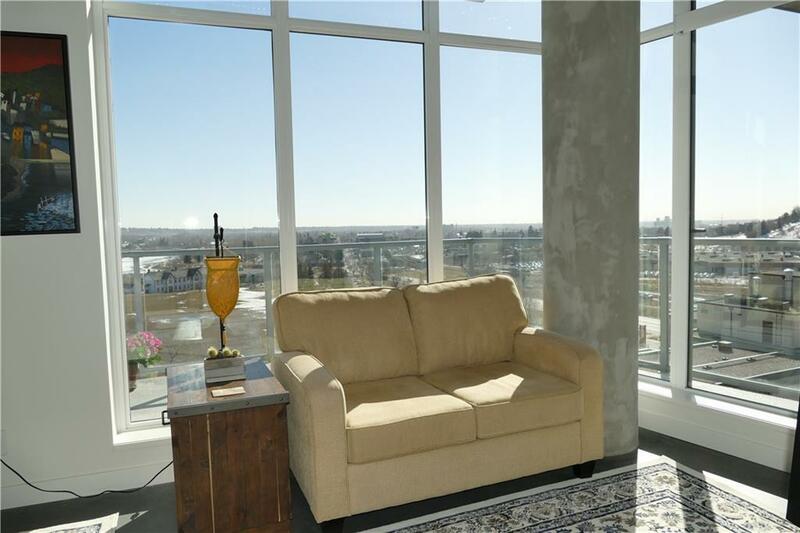 Dramatic wrap around floor to ceiling windows with patio door opening to the 295 sq. ft. balcony! High finishes in the linear kitchen include quartz countertops, over height glossy upper cabinets plus full size S.S. appliances! Master bedroom features a full wall floor to ceiling window, closet with built-ins & 3 piece ensuite with oversize walk-in shower. Second spacious bedroom with large window, generous closet & convenience of adjacent four piece bathroom with deep soaker tub. Insuite laundry with stacking washer & dryer. Heat, Water & Sewer incl. in condo fee.